Whatever I have mentioned above is the approach used by Microdrones, who have achieved 1 hr, 28 min flight endurance in the video of this blog post. Ellison, that,s nice approach, but in real practical, ejecting the empty packs from the airborne quad wont be economically wise. There would be a way to make this work I believe. It would be like drop tanks with airplanes. I also agree that it is totally unfeasible. Dropping empty battery packages is a "chicken or the egg" problem. 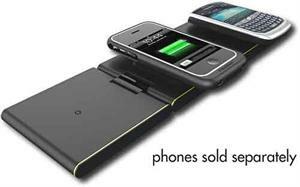 The only scenario that might work is using two or more batteries of uneven size at the same time, dropping the smaller battery when it is drained. The larger battery would then continue without the deadweight of the smaller one. Well, chicken or egg is obvious, right. The egg always drops from the chicken. Then General Relativity says all inertial frames are equivalent, so maybe the chicken is dropping from the egg. Seriously, auto-switching to, and drop of empty battery packs is equivalent to the gas tank on your car. As you start with a full tank, you are less efficient, and as you progress, and the tank empties, you become more efficient. Same situation, with regards to the batteries. To make it economical, you can equip the batteries with small parachutes and have the drone drop to a minimum height before jettisoning the pack. The other alternatives are either charging stations at various waypoints, or have the drone automatically exchange batteries from battery storage stations. Don't say this is impossible, because ten years ago, if you told me that I'd make a VTOL, self-stabilized, autopiloted, quadrotor aircraft, in my house from parts that I bought in a hobby shop, I'd have said you were crazy and find out what you're been smoking, and where to get it. and they mein parallel for parallel, not for selective battery switching, that means the lipos are hardwired which menas that all batteries drain at the same time, no empty batteries while the others are still fresh. No one was questioning them about dropping a battery. There was just a debate as to if it would allow a longer flight time if the craft was to drop batteries in a similar way to an aircraft using drop tanks. The consensus was that it might be effective, but it would be over complicated for the application. 2) Tune. Test combinations of prop, motor, and battery until ideal combinations are achieved. Large, slow rotors are preferred. I expect the model was also a special lightweight build stripped of everything not essential. Get a wireless charging pad. Hook the charging reciever to your power system. Hover over the charging pad. Wow look at the incredible endurance! !